It’s back… cross country returns! This weekend, our local muck loving cross country junkies will lace up their spikes and get their first fix of one of the sport’s most traditional types of running, something that pretty much everyone has tried (be it through choice, or as punishment at school) – the CROSS COUNTRY season returns with the Comber Cup XC! 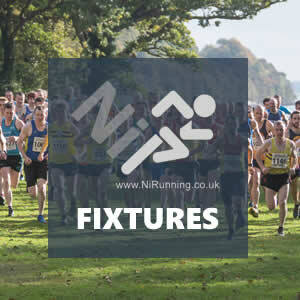 The event will be the first race of the increasingly popular Athletics Northern Ireland Cross Country League and will be held at the Billy Neill Sports Centre near Dundonald; Ballydrain Harriers are the hosts! The league has been instrumental in raising participation levels and interest in Cross Country running over the past number of seasons. Last season, Newcastle AC topped the men’s league and North Down AC won the ladies competition. Both clubs are expected to challenge strongly again and should be well represented this weekend. A team element is much more important in cross country than in road running and so a winter season of cross country can play a significant part in bolstering club spirit and camaraderie and in providing a welcome alternative to road competition. Given the very crowded pre-Christmas period of events involving six races in only eight weeks, clubs will again be able to choose their best 4 scores over these six events (men and women score separately). There will now be three league events in the post-Christmas period and all these events will count towards the final scores. There are separate sections on the league for male and female teams and points are scored through a combination of team results and individual participation. Click HERE for more information, the full fixture list and the competition rules. Albeit the event which will attract most attention, the Comber XC isn’t the only race happening this weekend. Locally, Murlough AC will host their GR8 Dundrum Run, and there should be decent numbers at the Run for Oisin 10k (and 5k) and the inaugural Fergal’s 10 mile race, an event organised by Acorns AC. We’ll cover these races in our weekend preview and also list what else is happening this weekend. On Saturday 14th October 2017, Comber based running club Ballydrain Harriers will host their annual Comber Cup XC. Following the reintroduction of this very old race for the coveted silver Comber Cup trophy four years ago, Ballydrain Harriers have successfully stamped its fantastic reputation; a new course layout, a new ladies team prize and various other additions have enhanced the exciting race programme for the competitors and spectators. Race 1 – Primary 6 & 7, Distance 1km, Start 12.00pm. Race 2 – U13 Boys & Girls, Distance 2km, Start 12.15pm. Race 3 – U15 Boys & Girls, Distance 3km, Start 12.30pm. Race 4 – U18 Boys & Girls, Distance 4km, Start 1.00pm. Race 5 – John McKeag Cup: Incorporating Female Open, Female U20s, Female Masters & Male Vets 60+, Distance 6km, Start 1.30pm. Race 6 – Comber Cup: Incorporating Male Open, U20’s and Masters (up to Vet55), Distance 8km, Start 2.15pm. In 2016, Mark McKinstry (North Belfast Harriers) and Jessica Craig (North Down AC) emerged victorious in their respective events. Mark is expected to return and lead a strong North Belfast Harriers team, while it is unlikely that Jessica will start; North Down AC should still field a strong team. In the men’s race, Mark McKinstry may be joined by fellow NBH man John Black. John finished in fifth place last year but will contest a podium spot this time around. The aforementioned duo could well be backed up by club mates Lindsay Gordon and Andrew Annett, amongst others. 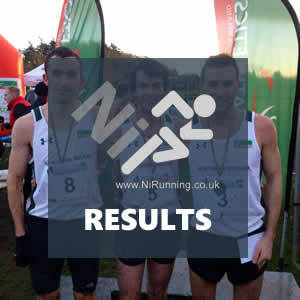 Newcastle AC athletes took two of the three podium places last year, with Seamus Lynch and David O’Flaherty following Mark across the line. Both men could return, with David likely to opt for this ahead of the GR8 Dundrum Run, which he would be interested in having previously won; Seamus could also start. Springwell Running Club are traditionally well represented in the XC League and Neill Johnston will play a major part in proceedings should he toe the line. Stephen O’Gorman (Dromore AC), Jonny Steede (Glens Runners), Francis Marsh (North Down AC), Joe McKevitt (Slieve Gullion Runners) and Ben Morrow (Ballymena Runners) will all place well should they enter on the day. In the ladies race, there’s a fair chance that the three ladies who finished behind Jessica Craig in 2016 will move up one position each and fill the podium spots. North Down AC club mates Rachel Gibson and Jodi Smith should both start, while Amy Bulman (Willowfield Harriers) will also be one to watch. Triathlete Heather Foley (Unattached) may also make use of the on the day entry option and should she do so, will feature strongly at the head of the pack. Laura Bickerstaff (Dromore AC), Karen Alexander (Acorns AC), Suzanne Higgins (Lagan Valley AC) and Debbie Matchett (Ballydrain Harriers) be amongst the front runners. Also on Saturday 14th October 2017, Murlough AC will host their annual GR8 Dundrum Run, a challenging multi-terrain race, covering a scenic 8 mile course on road, trail, boards and sand, starting and finishing on the atmospheric Main Street in Dundrum. Nearly one thousand competitors will be in competition at the event, with a number of athletes likely to battle it out for top honours. Andrew McIntyre (Orangegrove AC), Joe McCann (Newcastle AC) and East Down AC duo David Turtle and Sam Crawford will be joined at the front by in-form Mourne Runners star Laura Graham, who will compete here off the back of an excellent personal best and win at the Armagh 10 mile road race last weekend. 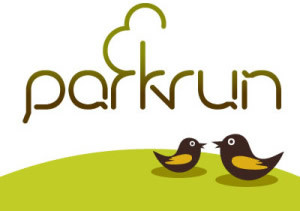 Dale Mathers (Mourne Runners), Billy Reed (East Antrim Harriers), Chris Collins (East Antrim Harriers), Mark McFeeters (Unattached) and Lee Magennis (Newry AC) add depth to the men’s field, while in the ladies race, there will be a number of classy competitors chasing Laura Graham. Cathy McCourt (Unattached) could well be one of these – meanwhile, Martsje Hell (North Belfast Harriers), Marie Morris (Beechmount Harriers), Amanda Perry (Ballydrain Harriers), Helen Weir (North Belfast Harriers) and Diane Watson, a member of City of Lisburn AC’s winning ladies masters team at last week’s NI Road Relay Championships, will definitely be in action. Sarah Steer (Orangegrove AC), Pauline Bayliss (Orangegrove AC), Sinead Murtagh (Newcastle AC), Catherine Roberts (North Down AC) and Eileen Stevenson (St Peter’s AC) will all be worth watching. In County Tyrone on Saturday 14th October 2017, a three hundred strong field will take to the trails and surrounding roads of Davagh Forest for the inaugural running of Fergal’s 10 mile Race. The event is being organised in memory of last Acorns AC athlete Fergal Mulgrew, who sadly passed away in October 2016. It’s fitting that a large number of Acorns AC athletes will be challenging for honours at the event. Although Northern Ireland international Scott Rankin (Foyle Valley AC) will be considered as pre-race favourite, the talented North West man will have to see off the likes of Glenn Donnelly, Aaron Meharg, Eoin Hughes, Darrell McKee and Martin McVey (all Acorns AC athletes) if he wants to emerge victorious – Sperrin Harriers’ Pierce McCullagh, an in-form athlete, will also run. Again, in the ladies race, it will be the blue vests of Acorns AC heading the pack. Natalie Hall is the stand out athlete, but the former Novice XC Champion will face club mates Leanne Sands and Lisa Simpson, two podium regulars. On Sunday 15th October 2017, hundreds of runners and fitness enthusiasts will take to the roads for the Oisin McGrath 5k and 10k races, two races set up to raise funds for the Oisin McGrath Foundation (www.oisinsfoundation.com). The organisation formed in memory of 13 year old Oisín McGrath, a keen sportsman, who sadly lost his life in February 2015. All proceeds will be distributed to promote Organ Donation Awareness, Brain Stem and Brain Injury Research and local Youth Sports Development projects. The race will start at 1pm and entries are available on the day. Omagh Harriers athlete and established international Stephen Duncan could be the star attraction, while Stephen Cassidy (Enniskillen Running Club) and Martin Cox (Unattached) may also compete. In the ladies race, the top three from 2016, Karen Dolan, Oonagh Fitzpatrick and Mary Rutledge, all from Enniskillen Running Club, will contest the prize winning places. Eoghan Totten and Laura Graham win Armagh 10 mile road race! Jonathan Roebuck and Laura Graham steal the headlines with outstanding performances at GR8 Dundrum Run 2017!